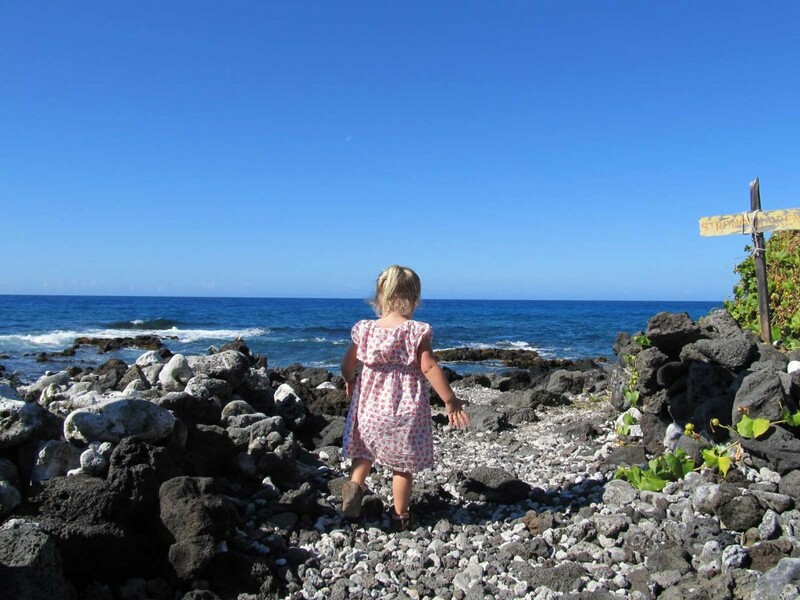 Near Keolonahihi State Historical Park in Kailua-Kona, a little girl explores the lava-rock beach, collecting sea shells, rocks, and sticks. Her curiosity at everything around the area reminds us that Hawaii is truly an amazing place for discovery, however old you are. This secluded beach is all lava-rock with a few patches of shade from Kiawe trees and beach naupaka plants. There are several tide pools teaming with small fish, sea urchins, crabs, and more. 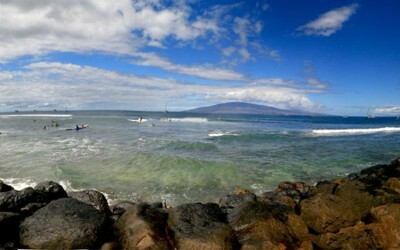 It is a great place to get away from the hustle and bustle of other beaches and simply enjoy the Kona coast. From the point there are views of Hualalai mountain, and on exceptionally clear days, Mauna Loa ridge to the distant south. Getting to the beach is simple, yet easy to miss. A small ‘shoreline access’ sign on the main street, Alii drive, is all the indicates the start of the quarter mile walk to the beach.